Unoccupied buildings on Mackworth Island are rapidly falling apart. 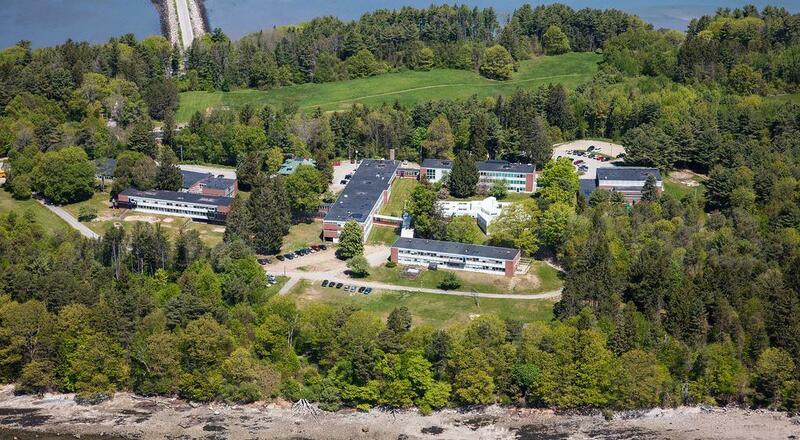 The Maine Educational Center for the Deaf and Hard of Hearing campus on Mackworth Island. The school has several unoccupied buildings that it says are "at risk of rapid decay." But “very complex (state of Maine) deed restrictions,” along with constraints in the allowed uses within the town’s own farm and forest zone, make it difficult for the school to find suitable lessees, Town Manager Nathan Poore said at the Dec. 11 Town Council meeting. Owen Logue, the school’s executive director, said a portion of Building C on the island was leased to Disablity Rights Maine earlier this month. But even though it received the OK from the state to move onto Mackworth Island, DRM needs a retroactive zoning change from the town to make its presence fully legal. In a Dec. 5 letter, Logue asked the council to consider an ordinance amendment that would retroactively allow DRM to occupy space. The Town Council last week discussed the best way to amend the zoning, which doesn’t allow business and professional uses like DRM. Poore described DRM as an “advocacy law firm with about 12 staff members,” and recommended the council approve a temporary, “tightly and narrowly defined overlay district” that would allow the firm to operate on the island, but not allow any other business uses there. “The overlay zone would be very specific to their use and would have a three-year sunset clause,” Poore said. He suggested the sunset clause because the state is working on a long-term plan for Mackworth Island that would include recommendations for the best use of the empty buildings. Although councilors asked a few questions about the overlay district, they gave their overall consent for Poore to create a proposed zoning amendment that will require an official vote before it can be implemented. “We look forward to making this work,” Council Chairman Caleb Hemphill said. He said the Real School, which is headquartered in Brunswick, had been using Building C, but it left at the end of June. “We were approached by DRM to occupy the space (and) I secured a lease from the state several months ago and only recently discovered (the zoning) issue,” he said. Logue said he’s working with Falmouth’s legislative delegation to permanently allow DRM to use the island space, and is also working with Port City Architecture to bring Building C up to code. During the council meeting last week Poore said that on average no more than 10 to 15 DRM clients would access the island per day. DRM is based in Augusta and its Portland office, which was formerly in the Deering section of the city, began using space in Building C on Dec. 1, according to the letter from Logue. 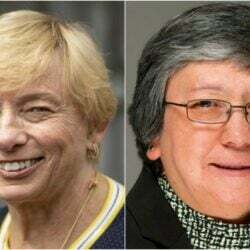 No one from DRM returned a request for comment before The Forecaster’s deadline Tuesday. Logue said DRM is also a perfect fit with the school because it provides deaf advocacy and communication access for the deaf and hard of hearing community in Maine. “The addition of DRM bodes well for the utilization of space that (the school for the deaf) would benefit from in the years to come,” Logue’s letter said. Kate Irish Collins can be reached at 710-2336 or [email protected] Follow Kate on Twitter: @KIrishCollins.